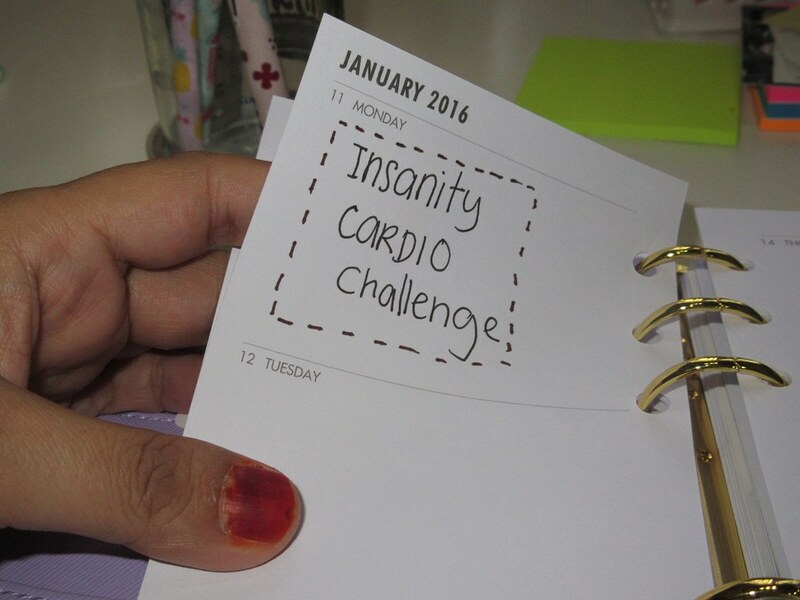 This is a small size planner made by Malaysian. It's from Paperdorable.com. 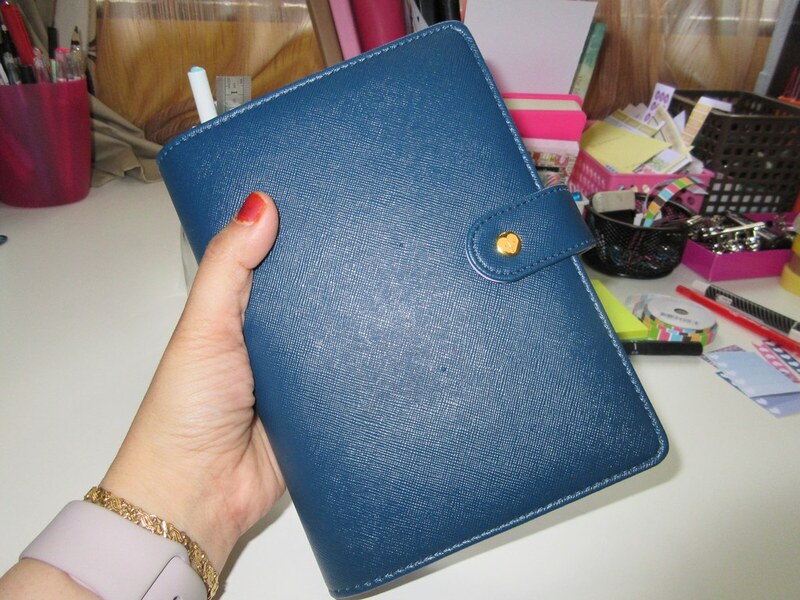 The planner comes in two color - Flamingo Pink and Denim Blue. I love both colors. 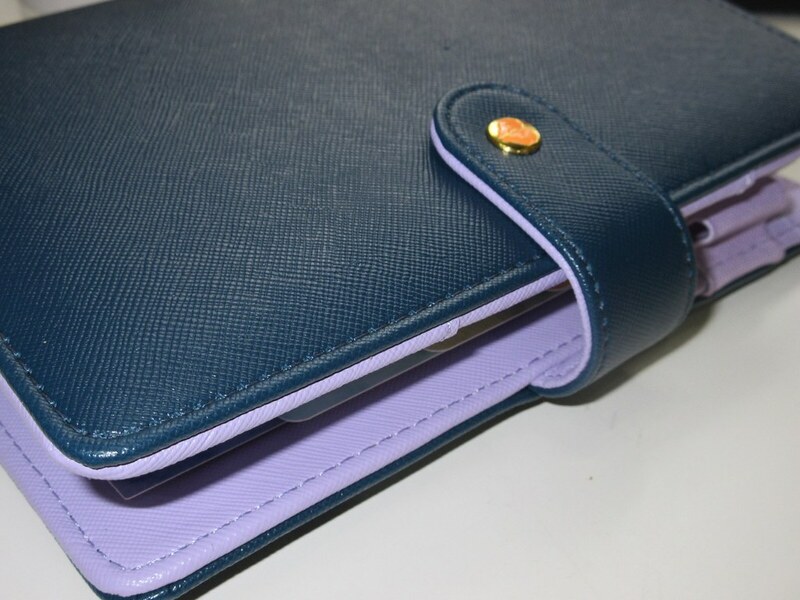 I choose Denim Blue just because I have already too many pink on my desk and I love the interior lavender color. 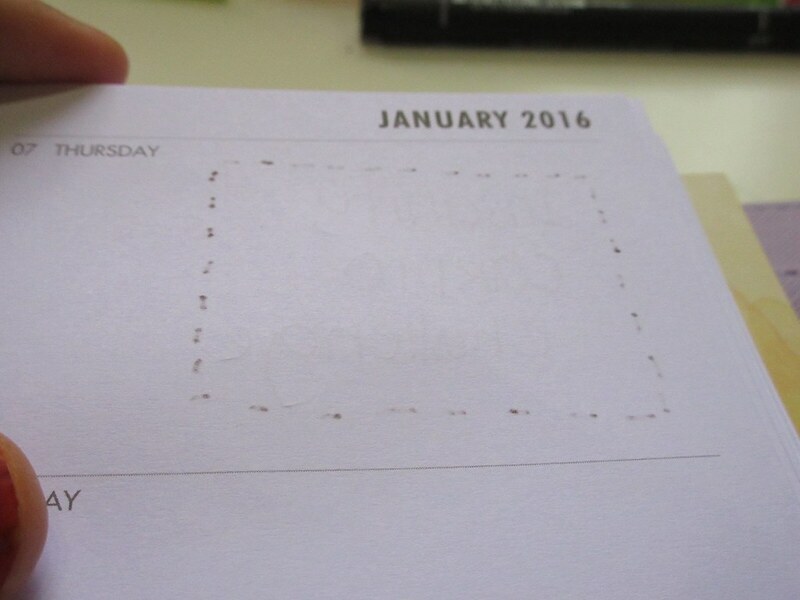 I promise myself that I am going to keep my planner to three this year but before January ends I already broke that promise. 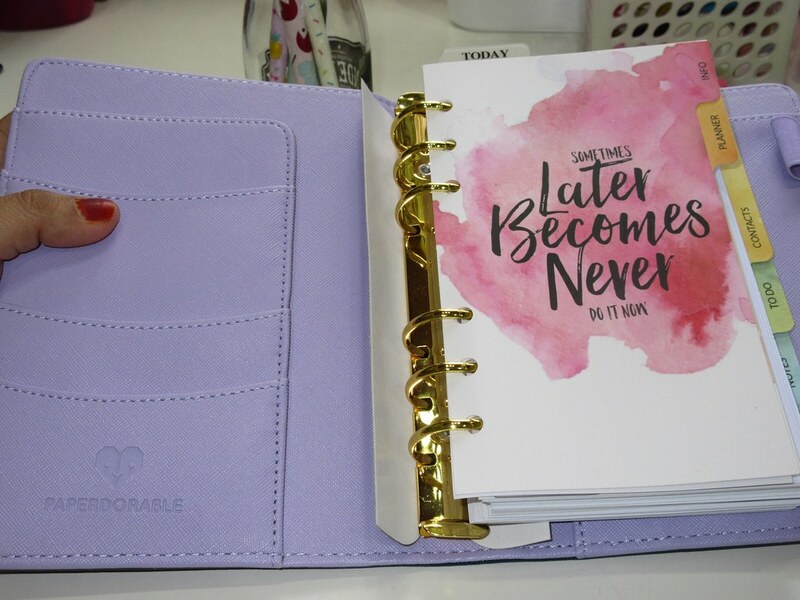 I just got to have this planner even though I know that I am not going to use this as my main planner. I am thinking of using this as my exercise journal/ planner. If that doesn't workout I can always hand it to my daughter. 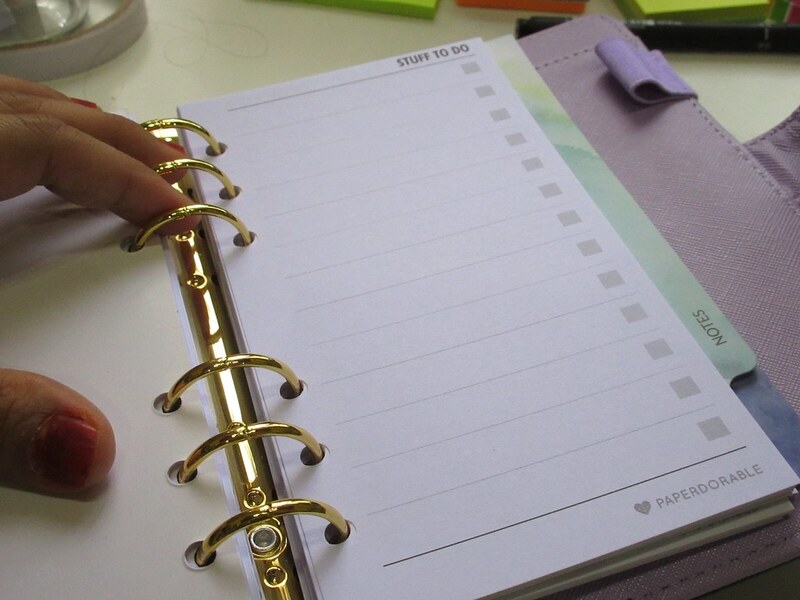 She loves small /personal size planner. I love paperdorable service. 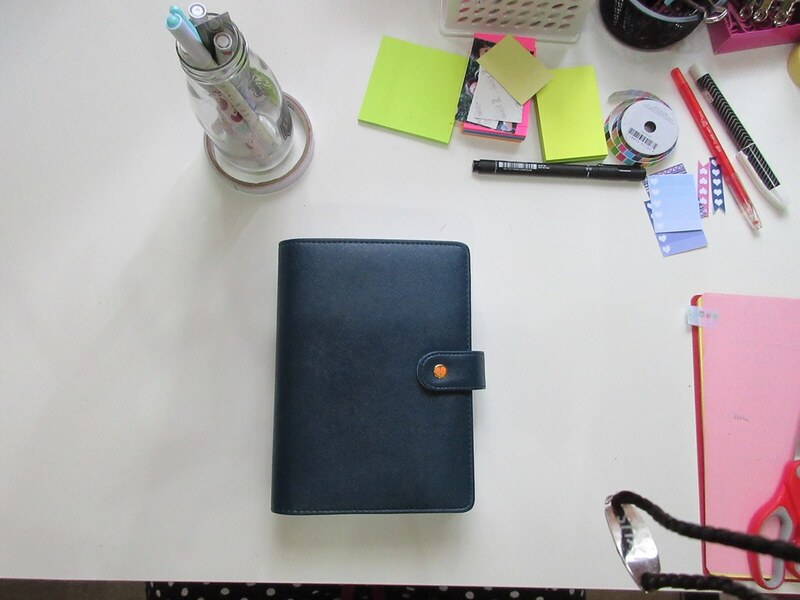 They process my order in less than a day and in two days I received this cute planner from Pos laju. I like the material, it feels soft and light in my hand. 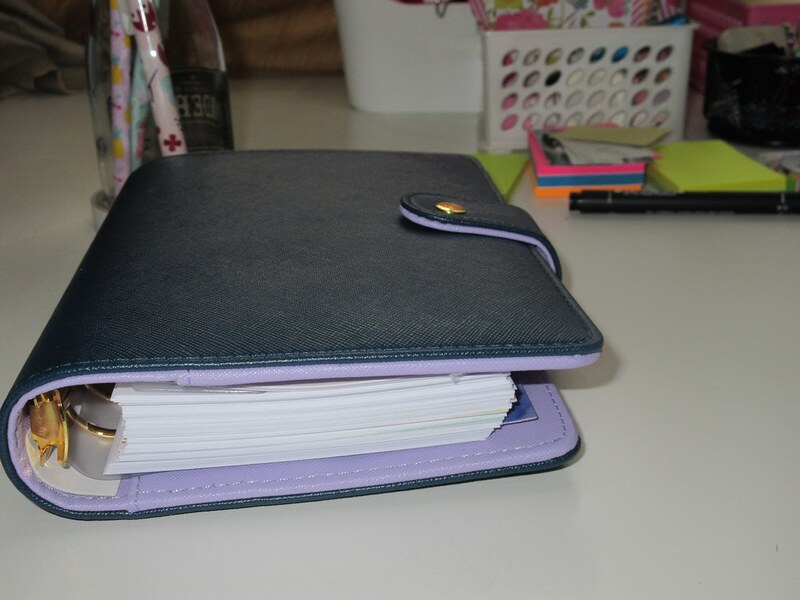 It's a little bit bigger than Color Crush Planner personal size. I think I like this better than Color Crush Planner. I love the interior design and color. I have always have a soft spot for lavender color. 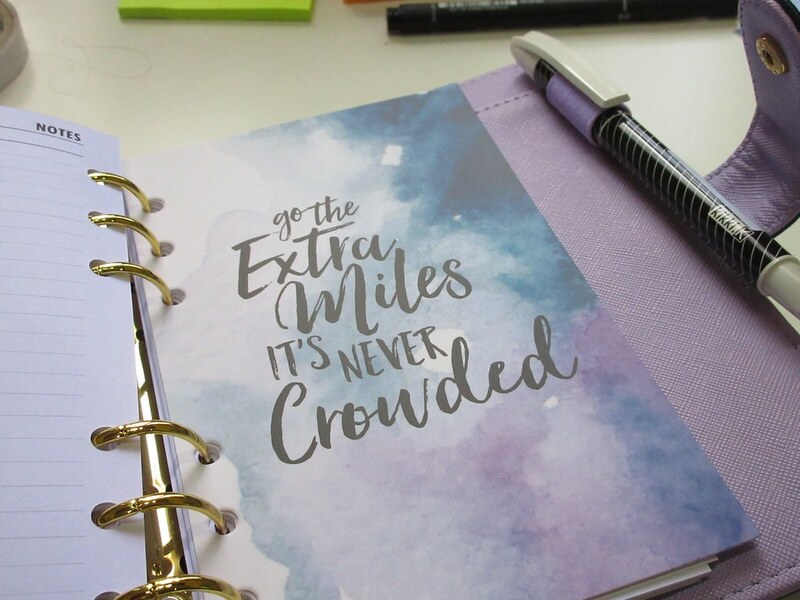 The planner comes with 2016 inserts with beautiful inspiration divider. 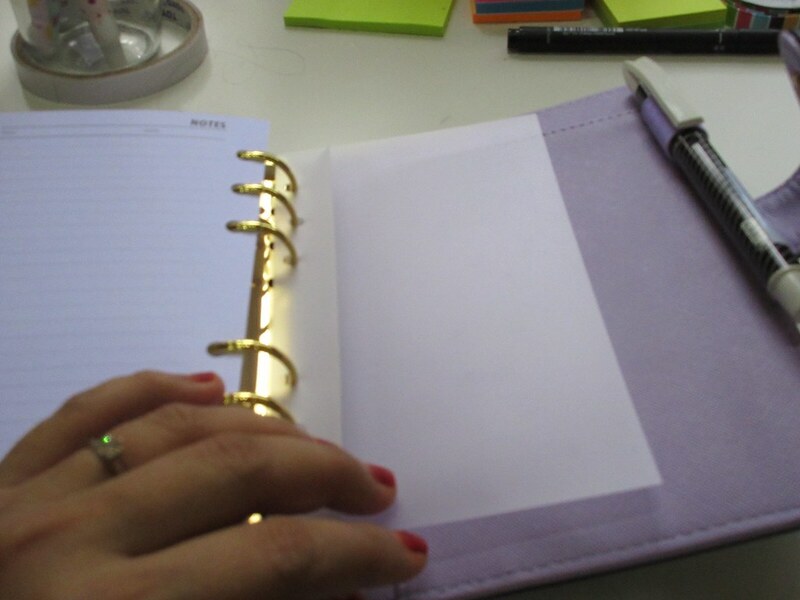 I also love the gold ring binder. It makes the page pop out! 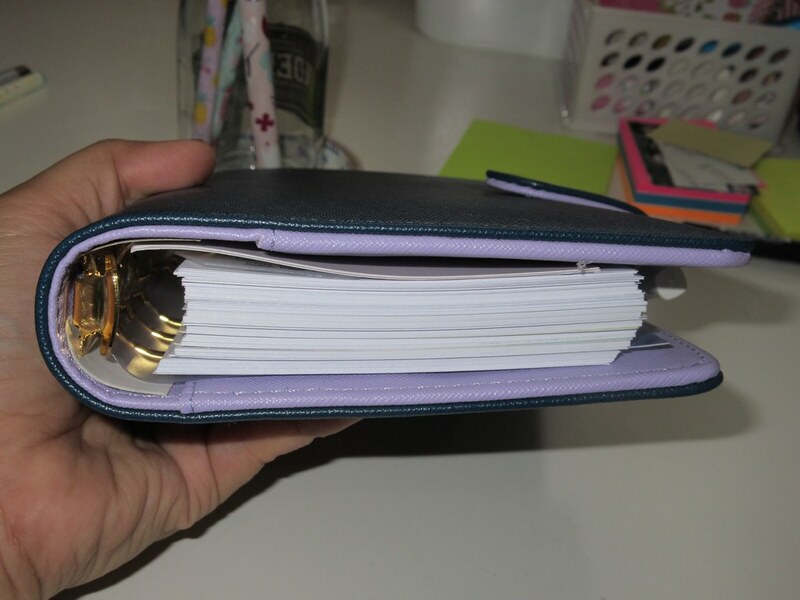 The paper is a bit thick than Kikki K insert and it's still bleed through if you are using gel pen or sharpie. Ball point pen should be ok. The pen loop is bigger and elastic enough to fit bigger pen. 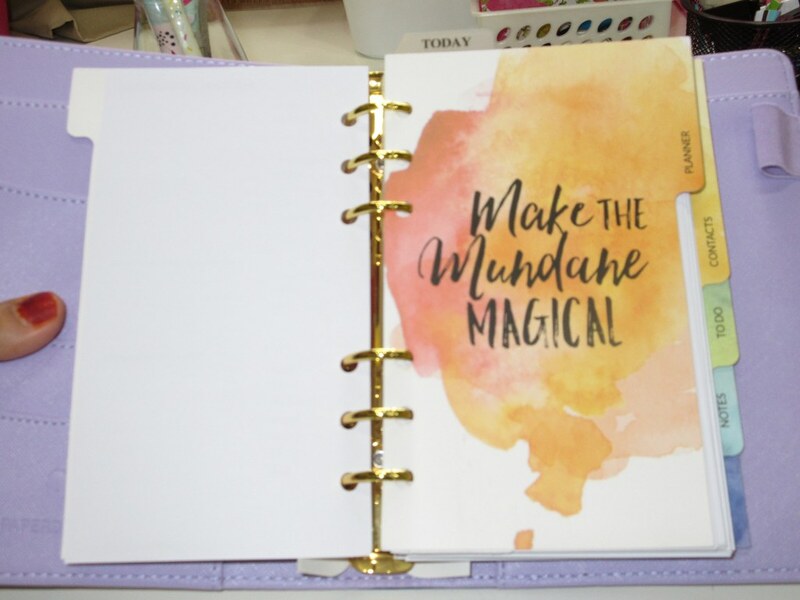 I like that this planner comes with plastic protector at the back (the one that prevent the page from curling). It's thick enough if you want to add more things in it. 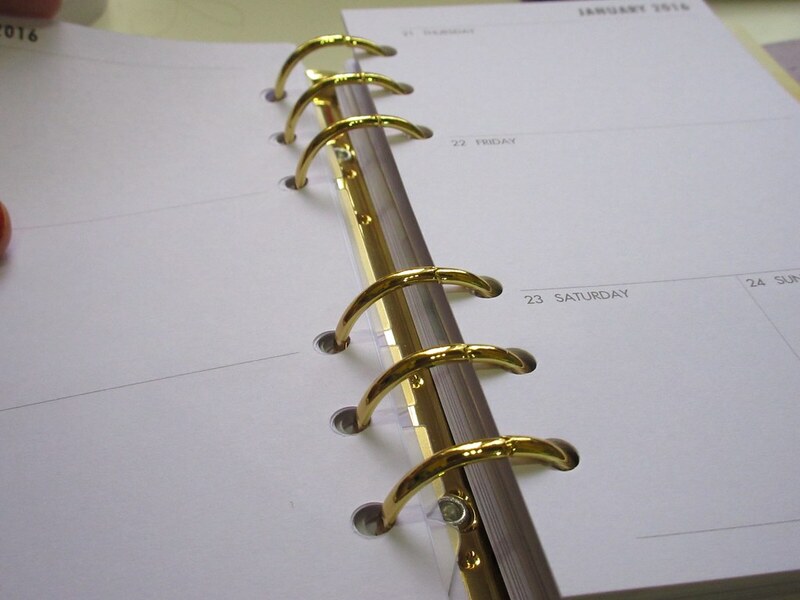 I can't wait for them to make A5 size planner. I will definitley give it a try when they do make one.